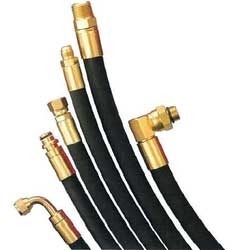 Manufacturer of a wide range of products which include hose pipes. Catering to the demands of customers as a manufacturer, supplier and distributor, we are engaged in offering Hose Pipes. At our sophisticated infrastructure unit, these pipes are manufactured with the aid of ultra-modern machinery and technology. Available in different specifications, we aim to attain highest benchmarks of quality. Looking for Hose Pipes ?